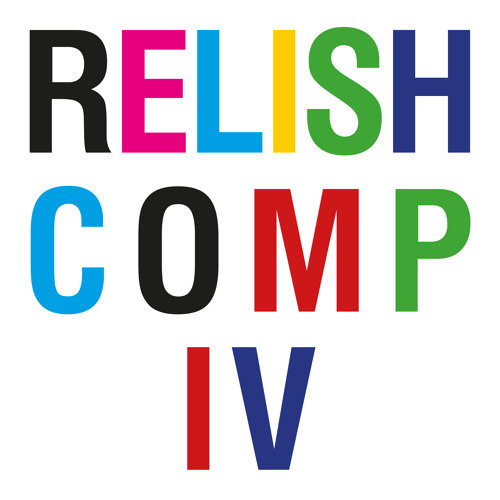 Release Date: 04.12.15 Cat n.: RR081 Format: Digital + Limited edition 100 CDs with special Artwork More from "The Mansisters" on "REPVI": http://www.relishrecordings.net/releases/relish-ep-vi/ Robi Insinna aka Headman consolidates a mix of brand new and previously released tracks on his latest compilation, not forgetting to incorporate some of the best Headman remixes. This newly harvested compilation joins the dots between extravagant techno and the somber avant-garde, diving deep into the open road of cult classics and bold machine funk. The compilation will be released digitally in two sets, along with a limited edition hand-numbered CD, which include special artwork. Set I - Kicking things off is an exclusive 90's inspired retro affair by French producer,Mondowski. Slowly easing its way into the mix is Manfredas remix of underground hit "Work", followed by Bozzwell, who guides us along with his poetic lyrics and tainted electro. We slowly make our way to the epicenter of electronic club culture with Scandi producers Kasper Bjørke and Sexi Lazer's alias The Mansister, steadily building the driving Techno beat prevalent in Maya Danon's production. Relish alumni Morgan Hammer returns with a dark track, championing the spirit of rebellion. Robi Insinna is up next with his new motoric dance track "Main Gates", prepping the stage for Herectic featuring Justine's moody ambience and chilling vocals. Headman and Red Axes take back the stage with their sultry and exceptionally voluptuous groove, what's to follow is a NYC legends, Whatever Whatever's remix of old school luminary, Stephan Eicher, closing the first set on a musical high. Set 2 - The compilation continues with Tel Aviv heroes, Red Axes remix of German New Wave diva Gina X filling the room with her luscious vocals. Next up, is Daniel Avery's slow and chuggy remix of Headman's massive track, "Be Loved", released in late 2011.Headman's rework of Scott Frasers "Paraphrase Mine" follows, and doesn't fail to deliver, then comes a collaboration with Nitzer Ebb's Douglas J McCathy and it was given the Daniel Maloso treatment. Next up is Daniel Avery's Original release on Relish, a Kraut influenced piece of electro that propels us into Richard Fearless Death in Vegas' techno infused drones. Now we take a breather with Rework's remix of Remain, slowly pumping us back into a steady trance, and dropping us with Kim Ann Foxman's audacious remix of International.Andy Meecham aka The Emperor Machine keeps on the driving the beat with his cheeky remix, it's followed Timothy J. Fairplay's remix of Scott Fraser's "Centreville Lapse", wrapping things off with distinction. Robi Insinna delivers a quality compilation at the forefront of cutting edge dance music on his own imprint Relish Recordings.